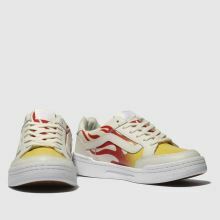 Vans take on the sports scene with ease and deliver this athletic-influenced Highland sneaker for your statement collection. 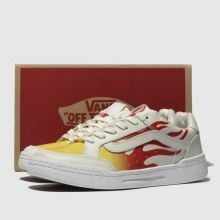 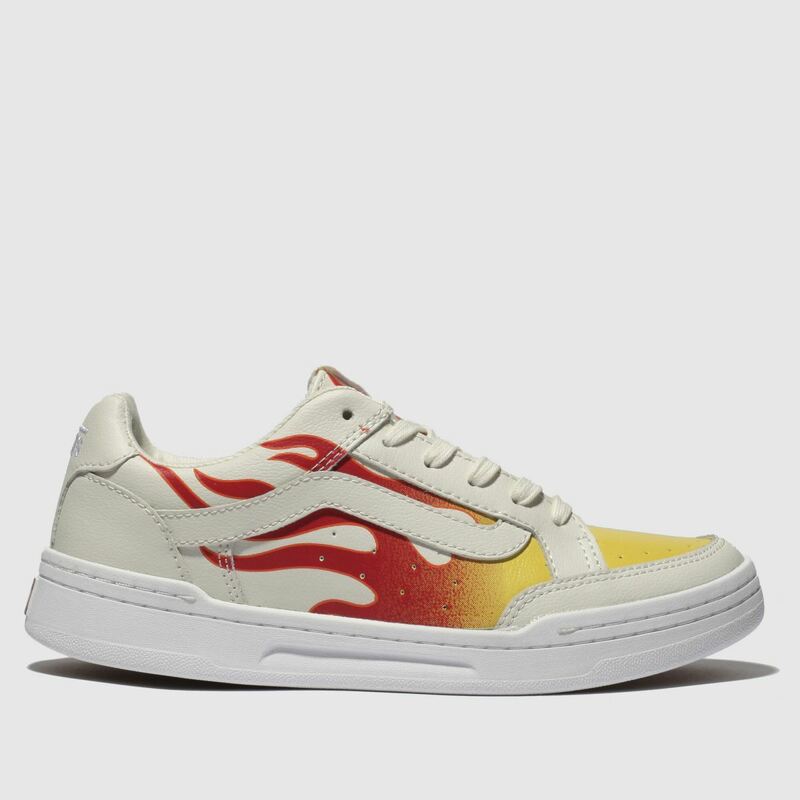 This leather trainer arrives with an off-white upper adorned in yellow and red flames for a fiery finish. 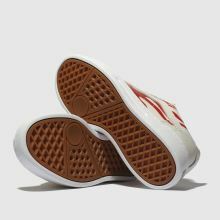 A cupsole completes.